I use my iPhone for planning and scouting my photography locations a LOT. Over the years I have found a variety of apps that help me get the job done, the problem is they’re all separate apps. I was continuously switching between apps and most of them didn’t do exactly what I wanted them to. This all changed when I found PhotoPills. If you’ve ever used The Photographer’s Epehmeris (TPE) this will look very familiar, they each have their own merits, since writing this TPE now has tools that PhotoPills does not. 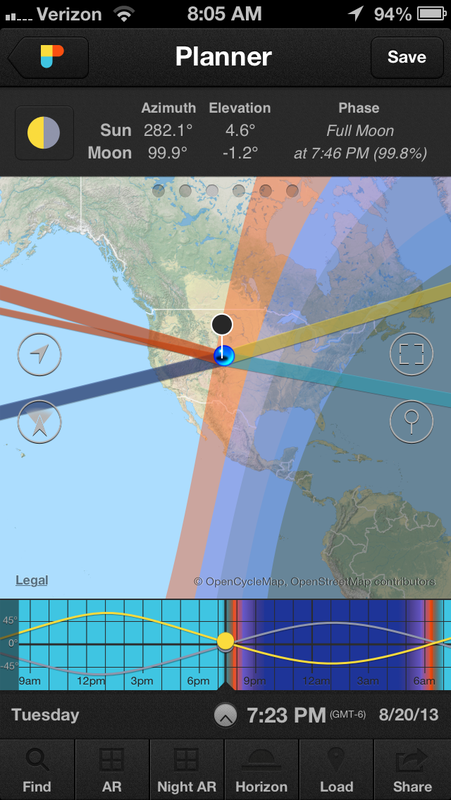 This tool helps you plan sun/moon angles on a map along with golden hour times, twilights and blue hour. It also has geodetic info which is used to find out if the sun or moon will clear a mountain at a certain time for example. This of course gives you sunrise/sunset times along with twilight/blue hour/golden hour times, along with a plethora of other info. 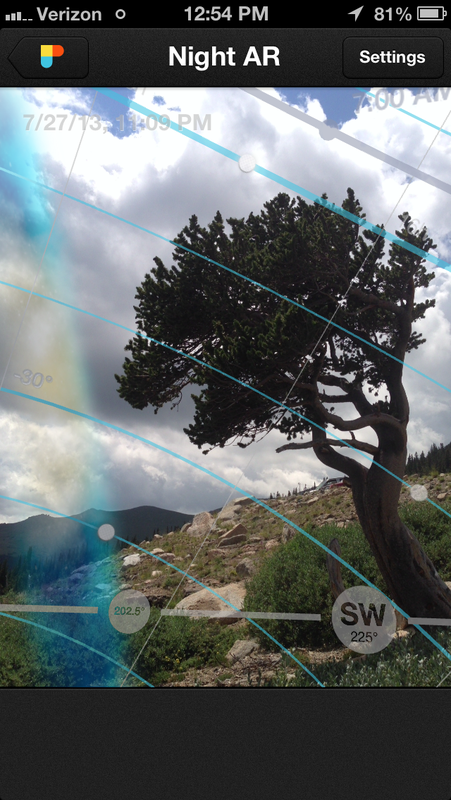 Tap on the AR mode to see a realtime view of your scene that will show you exactly where the sun will be at a specific time. Very similar to the sun ‘Pill’ but with info about the moon. 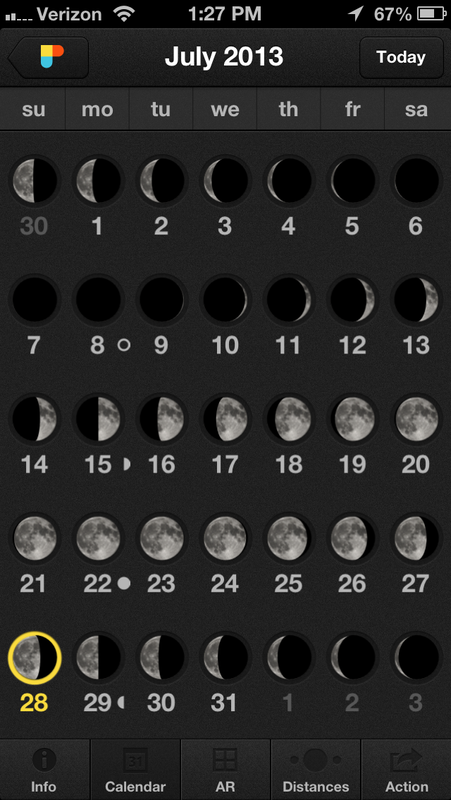 You can quickly scroll through days to see what phase the moon will be at, or you can go to a calendar view to get there even quicker. For moonlit landscapes I like a moon phase around 20-30% illuminated. Again, the AR mode now shows you where the moon will be at a specific time. Essential tool for calculating long exposures. 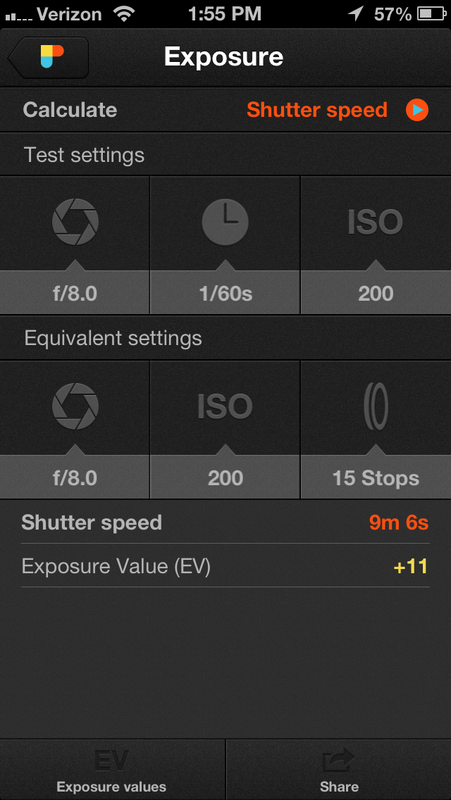 Quickly find equivalent exposures based on selected shutter/iso/aperture. This is incredibly useful when using ND filters, I like to stack a 10 stop filter along with a 5 stop for ultra long exposures in daylight. For example if the correct exposure for my scene is f/8.0, 1/60″, ISO 200, my correct exposure with the 15 stops of ND would be 9 minutes. Not sure what I would ever use this for, but someone out there may find it useful? Here’s where it gets really good. First off there is Night AR mode; this turns on the camera along with the gyroscope and gps to give you a realtime view of the sky with a compass overlaid, but also with a representation of how the stars would be traveling across the sky so it’s incredibly easy to visualize how star trails would look at your location. Even better is the AR mode give you a representation of the milky way, so when you’re out scouting during the day you can point your phone up to the sky, use the slider at the bottom to go forward in time and see exactly where the milky way will be! Finally Spot Stars is an essential tool for shooting the milky way, this uses the 500 or 600 rule to tell you how long of an exposure you can take without getting star trails. You can input the declination of your stars which is what the calculation for the 600 rule uses, but in general for what I’m doing with very wide angle views I’m capturing a huge variety of declinations, for example when shooting the milky way at my location the declinations will vary from 0-40, so I just stick with the 500 rule, I don’t need the brain damage in the middle of the night. The last ‘Pill’ is the timelapse calculator, very comprehensive. 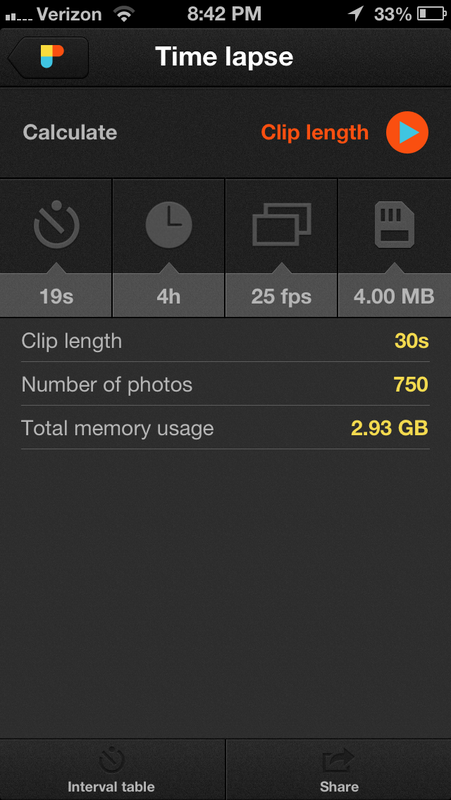 Even takes in to account file size so you know if you have a big enough memory card for you selected timelapse. Plus it gives you a nice interval table to give you an idea of how to shoot certain scenes for timelapse. This is a long shot, but integration with Gaia GPS would be phenomenal. The biggest problem I have with PhotoPills is the fact that I have no maps when offline, I often work in remote locations where cell service is abysmal, with Gaia you can download maps to be available offline. In Night AR mode there needs to be a share button, this would save the current view along with gps coordinates so it’s easy to come back to this in the future, or save it to planner so you can see the location on the map, click on the saved point and see the image, ultimate planning tool! I would like the representation of the milky way in Night AR to be a little more accurate, I make my living off of night photography so it’s easy for me to understand where the core of the milky way is going to be at a certain time of night during the year. But for those that are just learning it’s confusing to distinguish the dim Northern portion of the milky way from the bright Southern core in this app. The crew from PhotoPills followed up on all of my concerns, which is below. I even missed a few features that make the app even better, I seriously think this deserves app of the year award. useful, for example, if you want to know if the subject you’re going to shoot will fit in the frame. For example, we wanted to shoot a moonrise just behind a lighthouse located in a little islet here in Menorca (Spain). We move around the planner and we found a spot from where it was possible to catch the moonrise in nautical twilight, it was great! but… We were using a 500mm with full frame camera and 1.4x duplicator and we wanted to know how much of the frame would the moon fill, and a more critical question, would the islet fit in the frame? The FoV calculator allows you to answer these questions. With the results in degree we could predict how much the moon would fill the frame (knowing that, more or less, the moon has a diameter of 0.5 degree) and the results in meters (or feets/inches) helped us to know if the islet would fit the frame and decide if we wanted to use a full frame camera or a crop factor one. Another feature that the FoV calculator has is the AR view that allows you to visualize the FoV you’ll have with a focal length over the reality. “Can I work with PhotoPills offline? The feature you’re asking for is already developed It’s in the planner tool. 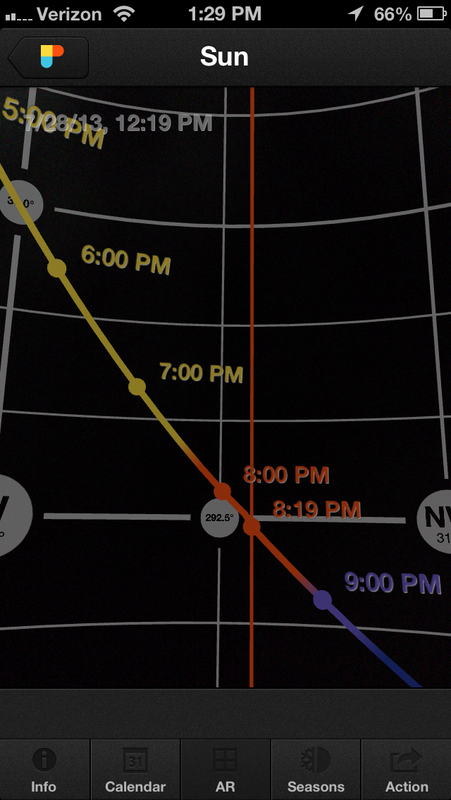 The Night AR view was added as a fast way to predict the milky way, but using the Night AR view inside the planner gives you more options. Just open the planner and jump to the date you want to know where the milky way will be (for example a night with no moon, easily done by tapping on the moon icon), tap on the Night AR button on the bottom bar and you can also go forward in time inside this view. When you close the AR view, the planner will show you the date you had in the Night AR view. Now you can share or save this plan and consult it later. The accuracy of the milky way you’re talking about, is to show better where the galactic center is? Now it’s located in the wider area of the represented milky way, but maybe is not evident.